This Sweet Southern Egg Salad was a recipe right from the south, Atlanta to be exact. It’s simple to make and has just the right amount of sweetness for the most delicious egg salad you’ll ever eat. Try it soon and enjoy the deliciousness! 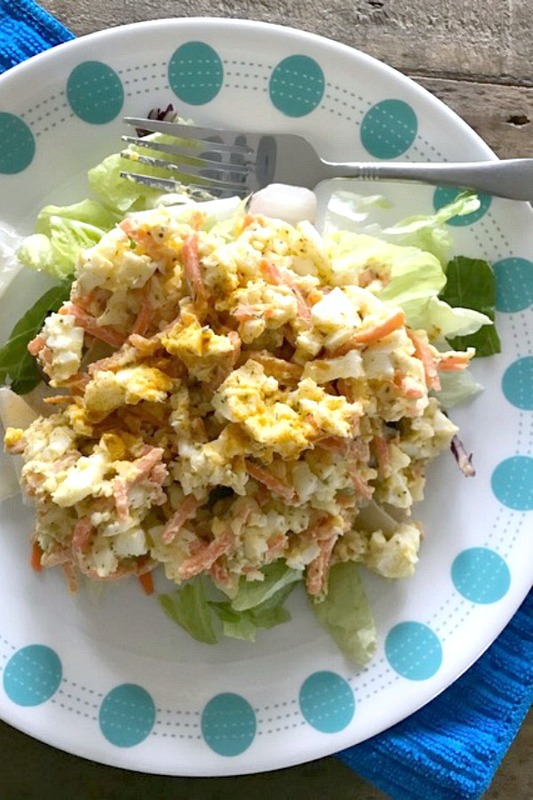 If you like egg salad, you will love this easy recipe. I started making this recipe when I lived in Atlanta years ago. 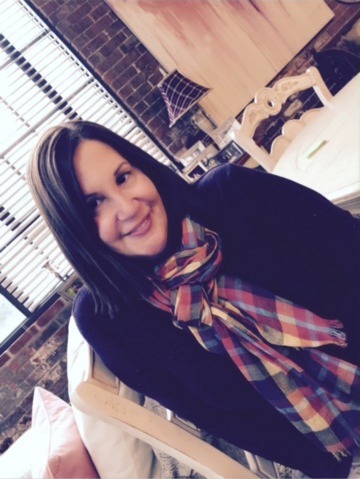 I was a caterer and did many luncheons for bridal and baby showers as well as office parties. Egg salad was always on the menu for a luncheon. I got this recipe from a neighbor of mine who made it for me while we were sitting in her apartment and chatting. She whipped it up in no time at all. I loved it so much, I asked her for the recipe right then and there. After that, I started to make it for catering. Now, I make it all the time for my family and when we have company over for brunch. 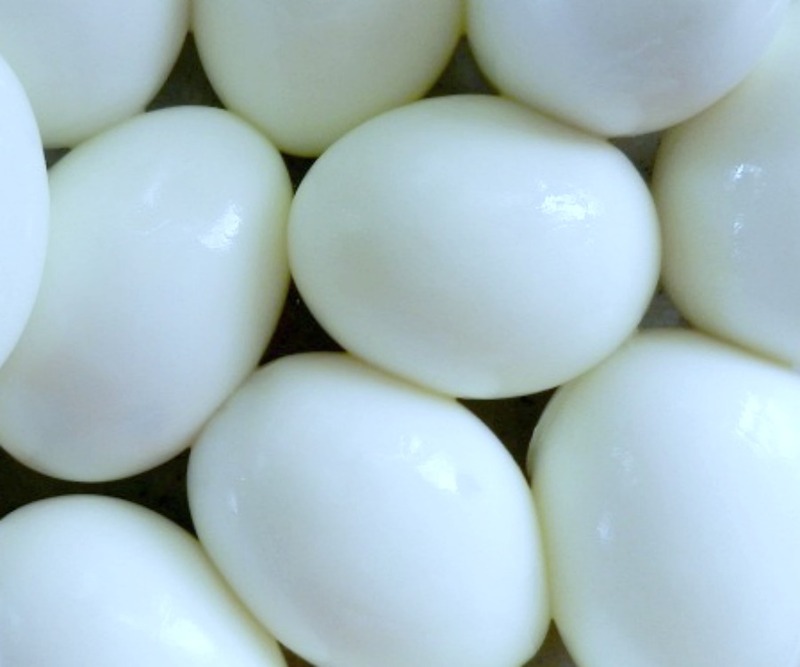 Be sure to check out “5 Easy Steps To Make The Perfect Hard Boiled Egg” You’ll make the perfect hard boiled eggs every time! 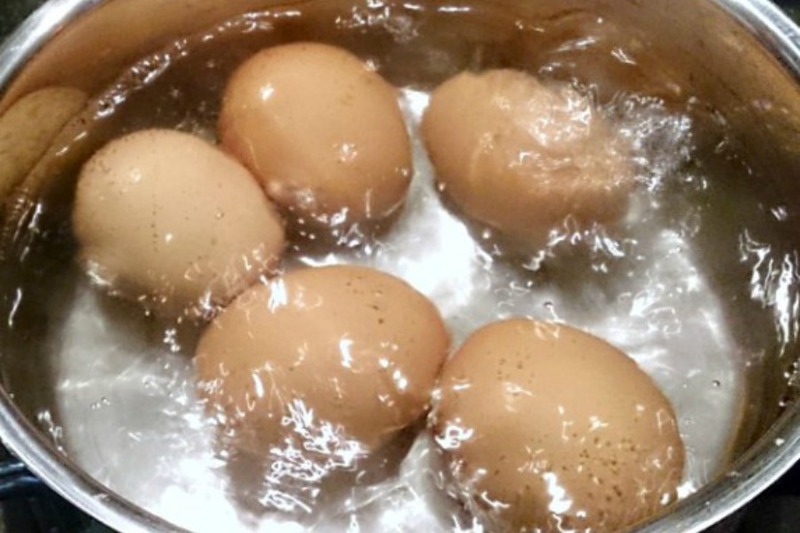 Boil eggs as directed above. In a medium bowl, combine mayo, yogurt, mustard until creamy. Add remaining ingredients. Combine well. Half eggs and discard 4 of the yolks. Chop then mash until desired consistency. 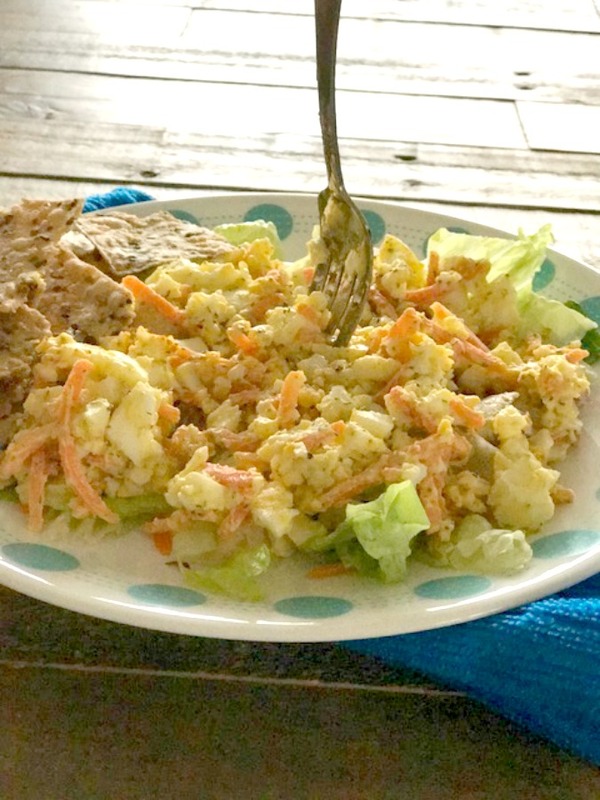 Add eggs into dressing. Toss gently. Eat right away or cover and refrigerate for 30 minutes. Serve up and enjoy! Note: Can be stored in fridge for two days.